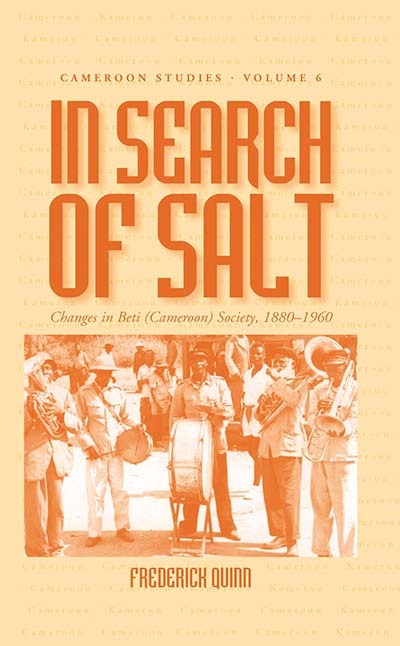 Relatively recent Bantu-speaking migrants to central Cameroon, the Beti have had an eventful history. Based on extensive interviews and traditional Beti (Fang) poetry, in addition to German and French archival sources, the author of this readable study recreates the social structure of the Beti and their self-perceptions in pre-colonial times, their disruptive encounters with first German (1880-1918) and then French (1918-1960) colonialism, until Cameroon’s independence. An American diplomat, who was posted in Cameroon for several years, Frederick Quinn holds higher academic degrees in history and African Studies and has published widely on Africa. His Democracy at Dawn: Notes from Poland and Points East was named a TLS International Book of the Year.